Goodstuff Communications is hoping to back a new breed of independent media agency start-ups by offering a total of £1m in finance and business support in return for majority stakes. Goodstuff said it hoped its intiative, called Startstuff, will "inspire and help good people make that jump" and quit their current job to launch their own agency at a time when the sector is going through huge disruption. "Transparency, technology and the returning need for strategic objectivity and operational agility is creating the opportunity for new agency models and media services to emerge," Goodstuff said, citing businesses as diverse as Accenture Interactive, Bountiful Cow, Craft Media, Essence and Hearts & Science. "There has never been a more appropriate time to launch a new media offering," it added. "Nor has there been harder time in which to do it." 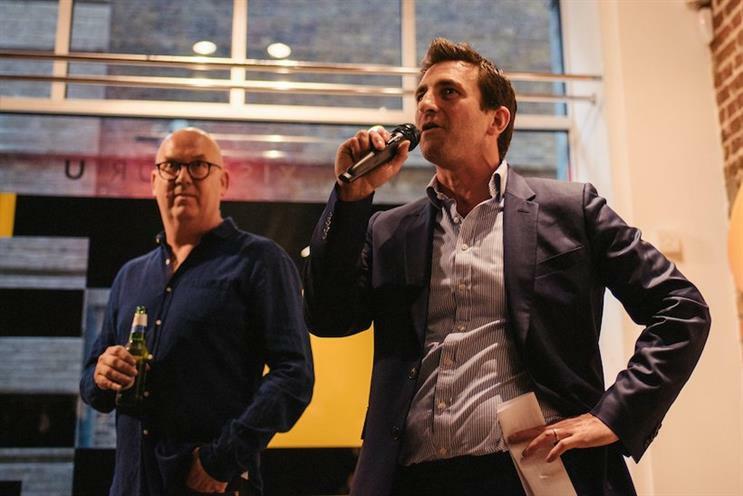 Andrew Stephens and Ben Hayes, the founding partners at Goodstuff, said they will back entrepreneurs who want to build "an agency that is client-focused and delivering a modern and unique service". The model "could be performance led, digital led, creative media led, technology led, category led, channel led, audience led, client in-house led or it could be based on a different employee model". Goodstuff will provide up to £700,000 in service and systems support and £300,000 in finance to potential applicants over the next two years. Stephens expects that a start-up would probably receive no more than £250,000 worth of investment in its first year, which could allow Startstuff to support two new businesses. Goodstuff would take a majority stake in a new agency in return for service, systems and financial support. Investment will depend on the applications. "We don’t know if we’ll get a one-man band or a Pattison, Horswell and Durden," Stephens said, referring to the founders of PHD. "No individual will get more than six figures. We imagine £150,000 could cover two salaries for a year." Stephens and Hayes said they were inspired by their own experience of launching Goodstuff as a planning agency in 2004, when they quit Manning Gottlieb OMD with the backing of an existing client, Virgin. The Omnicom agency took a minority stake in Goodstuff and helped to incubate the start-up, which subsequently moved into media-buying in 2011. Stephens and Hayes went on to buy out Omnicom last year and Goodstuff won Media Agency of the Year at the 2017 Media Week Awards. Goodstuff claims to have turned down a significant amount of new business in the last year and is "confident of being able to refer business" to the agencies that it is backing.